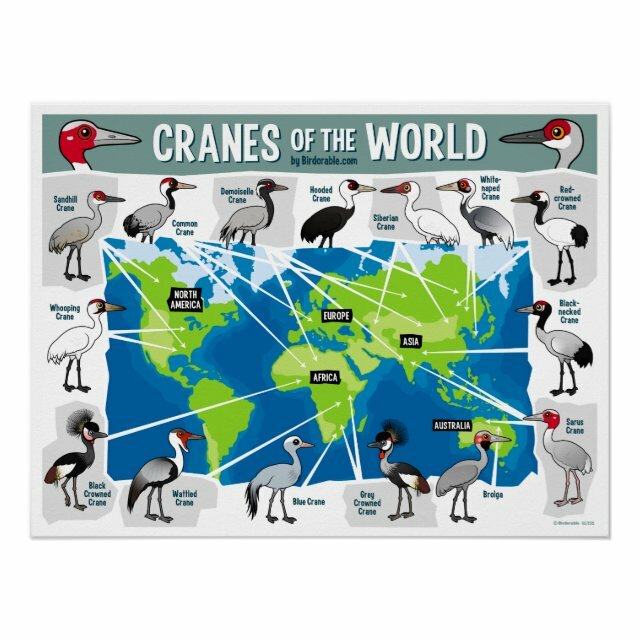 This is a cute cartoon style map of the world showing the range of all species of crane. You can customize this poster! Change the size or placement of the map, adjust the poster size and/or paper style, and even add your own text or images. For low-cost, long-lived posters, select Zazzle's Value Poster Paper. This very white paper creates vibrant art and photo reproductions.